In a letter to HOD, Surgery of VIMSAR, Braja Mohan Mishra, Dr Pujahari said he would not be able to carry out the responsibility and urged the latter to make necessary arrangements. BHUBANESWAR/SAMBALPUR : A day after the inquiry committee indicted Director of Veer Surendra Sai Institute of Medical Sciences and Research (VIMSAR), Dr Aswini Kumar Pujahari for his alleged unethical clinical practices, the State Government on Friday asked him to go on leave.Dr Pujahari has been served a show-cause notice and directed to remain on leave till his reply is received and disposed by the State Government. The action came in the wake of cease-work agitation by the Junior Doctors’ Association (JDA) of the VIMSAR and a police complaint lodged against him for his alleged misconduct and unethical practices. 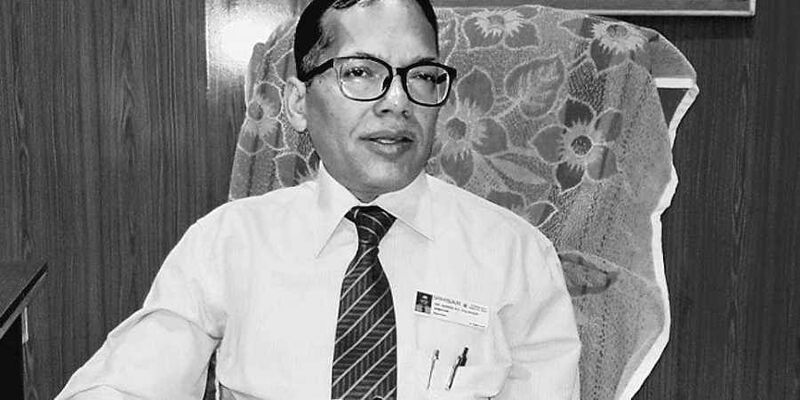 Secretary of Health and Family Welfare Dr Pramod Kumar Meherda said Dr Pujahari has been asked to reply within three days and allowed to proceed on leave as per the decision taken by the Government. “He has been asked to reply on the findings and observations of the inquiry committee against allegations levelled against him. If he fails to reply within the stipulated time, it will be presumed that he has nothing to say and the matter would be decided as deemed proper and appropriate,” he added. Meanwhile, the State Government has appointed Director of Regional Spinal Injury Centre at Cuttack Dr Prakash Chandra Mohapatra as in-charge of VIMSAR Director and he has been directed to assume charge with immediate effect. On Thursday, the probe committee headed by Additional Secretary of Health department Sarat Mishra had submitted its report and found him guilty for allegedly applying edible salt on a cancer patient during surgery. The junior doctors are on cease-work agitation since November 17 demanding removal of Dr Pujahari for conducting experimental surgeries on poor and destitute patients without consent and approval of the ethics committee. Dr Pujahari had reportedly admitted before the probe committee that he had used the salt as hypertonic saline which contained low sodium. Earlier, Dr Pujahari had withdrawn himself from surgical practice at VIMSAR.